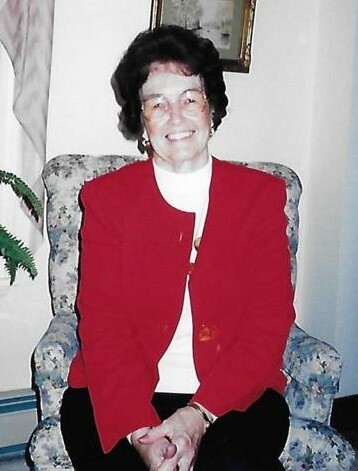 BATH - Elsie J. Graffam, 90, of Bath passed away Saturday, February 2, 2019 after a long illness. Elsie was born in Saco on October 30, 1928, and raised in Bristol, Maine. She was the youngest of six born to Nettie Roxanne Creamer and David Burleigh Hall, Jr. She attended Lincoln Academy in Newcastle. On November 17, 1946, she married the love of her life, Paul Graffam. Soon after, they moved to Bath where she lived until her death. She was predeceased by her parents; her husband, Paul Graffam; and siblings, Mildred Marston, William Hall, Elmore Hall, and Lillian Seiders. She is survived by her children, Richard Graffam, Carl Graffam, and Paula Dooley; sister, Evelyn Gifford; brother-in-law, Kenneth Chaney; sister-in-law, Phyllis Graffam. She is also survived by her grandchildren, Keith McGillivary, Michael Graffam, Jen Hays, and Erin Bean; as well as nine great grandchildren, one great-great grandson, and many nieces and nephews. Prior to her illness, Elsie was active volunteering at the Bath Area Senior Citizens and Coasters. She loved joking and spending time with her friends there. She loved making crafts, and especially restoring dolls and dressing them in period and theme costumes. Her doll collection numbers over 1,200. There will be no visiting hours. Funeral services will be held at Desmond Funeral Home, 638 High Street in Bath, on Sunday, February 17th at 2:00 p.m., with a reception following at the Senior Center in Bath. Memorial contributions may be made to the Bath Area Senior Citizens or Coasters, 45 Floral Street, Bath, ME 04530.